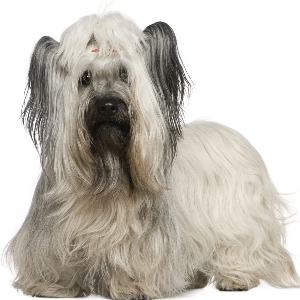 One of the oldest terrier breeds. 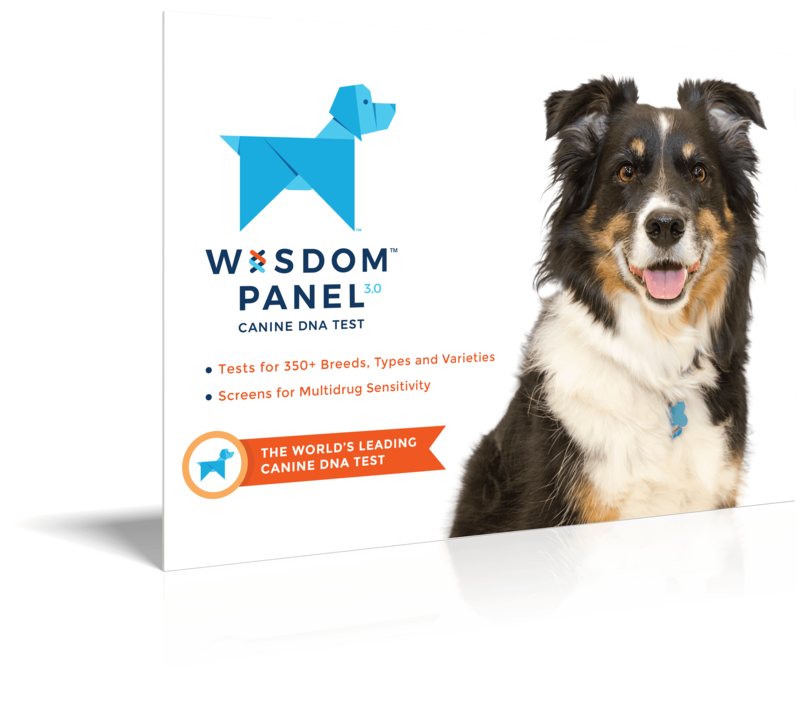 Alert, intelligent, and fearlessly independent dogs. 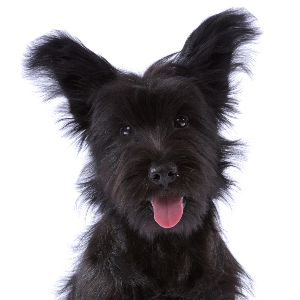 Careful training often needed to avoid development of "small dog syndrome". 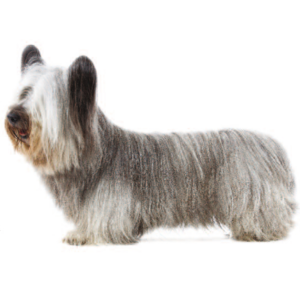 Skye Terriers may enjoy dog sports such as earthdog trials, agility, and tracking. May be reserved around strangers and often don’t always get along well with other dogs. 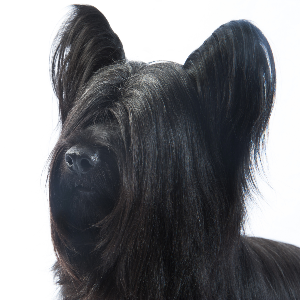 One of the oldest terrier breeds, these good-tempered and happy dogs are believed to have first appeared in Scotland over 400 years ago. They get their name from their homeland, the Isle of Skye. 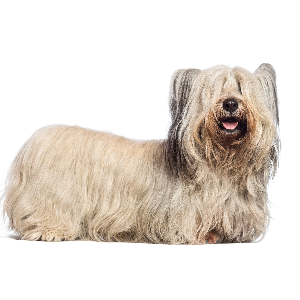 First recorded in the 16th century, the Skye Terrier is known for its distinctive long coat, and was often used to hunt otters and foxes. In 1840, Queen Victoria began breeding both the drop-eared as well as prick-eared varieties in her royal kennels and the breed became very popular, especially among the nobility. 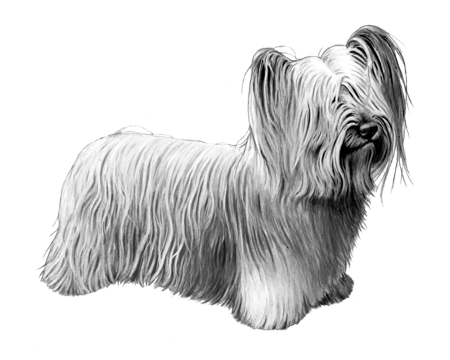 In 1887, they were recognized by the American Kennel Club and became a firm favourite at dog shows. Today, if you see one out with their owner, you might well witness a public display – most likely of affection.